Everyone loves a summer festival – there’s nothing quite like sipping a crisp glass of bubbly as you’re serenaded by the most talented musicians in the world. Munich has been hosting its own gargantuan summer celebration since 1988: Tollwood Summer Festival. Munich concerts don’t get much bigger than this; every year Tollwood festival draws ever more internationally renowned acts, musicians and performers. This festival is a delight for lovers of gastronomy too – you won’t have to look far to discover cuisine from every far-flung corner of the globe. 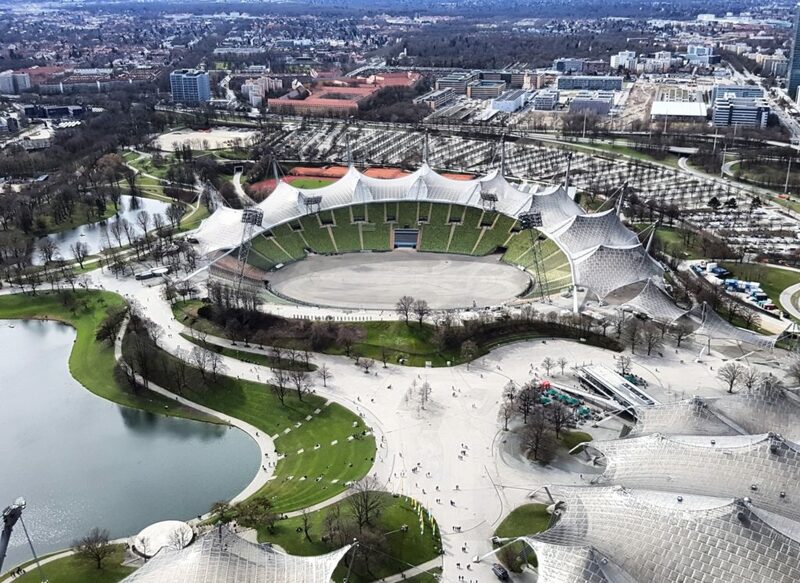 Aerial view of Olympiapark München, venue of the Tollwood Summer Festival. While most cultural events run for just a few days, this Munich festival lasts an impressive 25. The sheer scope of acts and performances is mind-blowing. Originally, it was conceived as a platform for local and national artists, but in the early 1990s it began to attract big-named international stars. American Country legend Kris Kristofferson, global treasure Bob Dylan and well-known 80s band Toto have all graced the Tollwood stage. The Tollwood Summer Festival is well-known for its great culinary offerings. Photo by Polybert49. One of the biggest music festivals in Germany, Tollwood draws musical acts from the disciplines of blues, rock, jazz and folk, so there’s an eclectic mix on offer. As well as international names, you’ll also discover plenty of homegrown German talent on the bill. Besides the musical flair, there’s an abundance of culinary skills on show as well: Tollwood is one of the top Munich events when it comes to food and drink. You’ll find around 50 stalls offering a tantalising mix of local and international delights – from Hungarian and Bavarian to American and Mexican. Hunt around for a taste of Ethiopian cuisine or tuck into traditional English fish and chips. Foodies will feel right at home. Theatre and live performance form a major part of this German festival – you’ll find impressive gymnastic displays and performance art taking place in some of the smaller spaces dotted around the park. Catch as many of these one-of-a-kind performances as you can, as many of them reflect the theme of the year. If you’re looking for some peace and quiet, wander over to a smaller tent and watch the magic unfold. 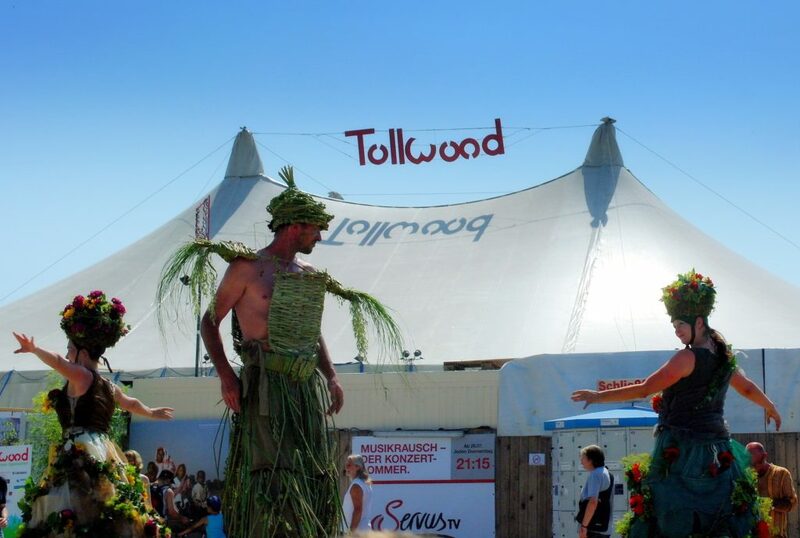 Home to a varied range of exciting acts, Tollwood is sure to tickle your fancy no matter your interests. Photo by FHgitarre. While this Munich festival is certainly about celebrating the summer, it’s also used as a platform for raising awareness about ecological and environmental issues. As a result, almost everything you find here, from food to handicrafts, is organic or naturally sourced. The festival also changes its theme every year to reflect a different issue or concern, which is frequently reflected in its unique choice of acts. With 25 days to choose from, between late June and July, and many of them free, there’s no reason in the world not to book your tickets to Tollwood as soon as possible. Live music and wonderful food is a recipe for a memorable weekend – simply time your visit with any musical or theatrical acts that take your fancy. 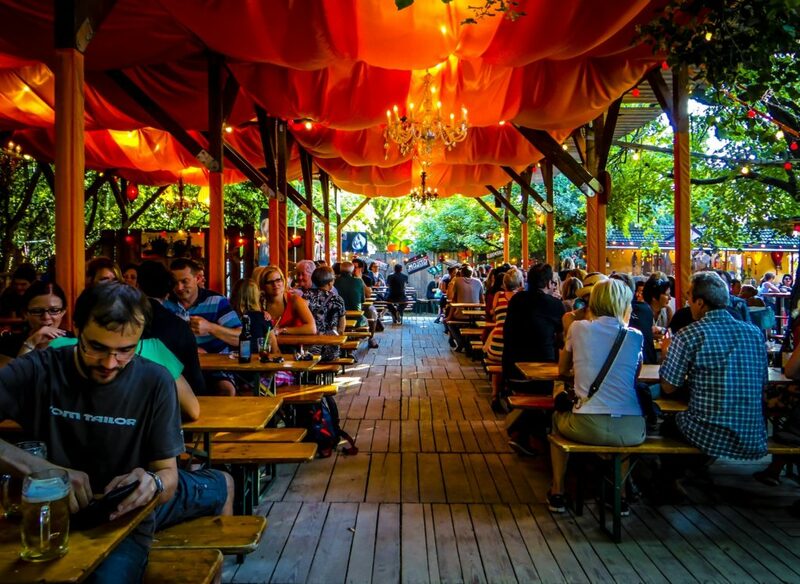 There’s so much to enjoy at Tollwood Summer Festival, that simply spending a few days exploring all the handicraft stalls over a stein of local beer is worth the trip alone.